A man stopped here, at Littleborough Removals, looking for cheap removals in Ripponden. He was reluctant to give very much information about what kind of move he was making but he had many questions for us. His tone was mistrustful right from the get go. We have seen customers like him before so we knew right away why he seemed on the defensive. Finally, we asked him if by chance, his last move was an unpleasant experience. At that point, he really opened up. He told us the same disappointing stories we have heard from others. Stories about the removal truck showing up three hours late; damaged furniture; rude service and a lot of add on fees not mentioned in the original bid. All we could do was sympathise with the guy’s bad experience and ask for the opportunity to prove that in Ripponden, cheap removals does not mean poor service when dealing with Littleborough Removals. We took him step by step through the process of estimating the cost, what additions he wanted added like having us pack for him or buying the supplies and packing himself. We showed him the type of packing materials and furniture protectors we use. We took the size of his removal and the location and distance of the move into consideration. When we gave him the final price, he was pleased but skeptical. We promised him that there would be no cost additions at the end of the move. 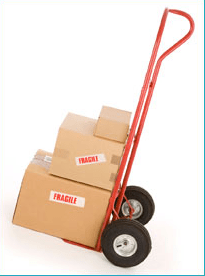 Cheap removals in Ripponden can vary in quality of service with different companies. Littleborough Removals has fifteen years of experience providing quality customer service at excellent rates. The rates do not change from the original quoted price unless the customer adds or subtracts a service. Our staff of movers are hardworking and friendly. They know how to properly pack and protect your belongings. Our removal truck arrives on moving day promptly on time. We carry insurance to protect your investment from unpredictable and unknowable events. We will even clean out and dispose of your unwanted items. We made a believer out of our skeptical drop in customer. We offer the same courtesy to you. This entry was posted in Removal Companies and tagged Cheap Removals in Ripponden, Ripponden Cheap Removals. Bookmark the permalink.